"My sheep hear my voice"
I HAVE MADE YOU A LIGHT TO THE GENTILES. The first reading for this Sunday (Acts of the Apostles13:14, 43-52) continues the saga of the apostles as they sewed the seeds of the early Church. These seeds, nurtured by the Holy Spirit, took root and grew at a phenomenal rate. Upon the rejection of many of the Jews, the focus turned to the Gentiles. Their ears were open and they rejoiced at the word of the Lord..
"Paul and Barnabas continued on from Perga and reached Antioch in Pisidia. On the sabbath they entered the synagogue and took their seats. Many Jews and worshipers who were converts to Judaism followed Paul and Barnabas, who spoke to them and urged them to remain faithful to the grace of God. "The Gentiles were delighted when they heard this and glorified the word of the Lord. All who were destined for eternal life came to believe, and the word of the Lord continued to spread through the whole region. The Jews, however, incited the women of prominence who were worshipers and the leading men of the city, stirred up a persecution against Paul and Barnabas, and expelled them from their territory. So they shook the dust from their feet in protest against them, and went to Iconium. The disciples were filled with joy and the Holy Spirit." 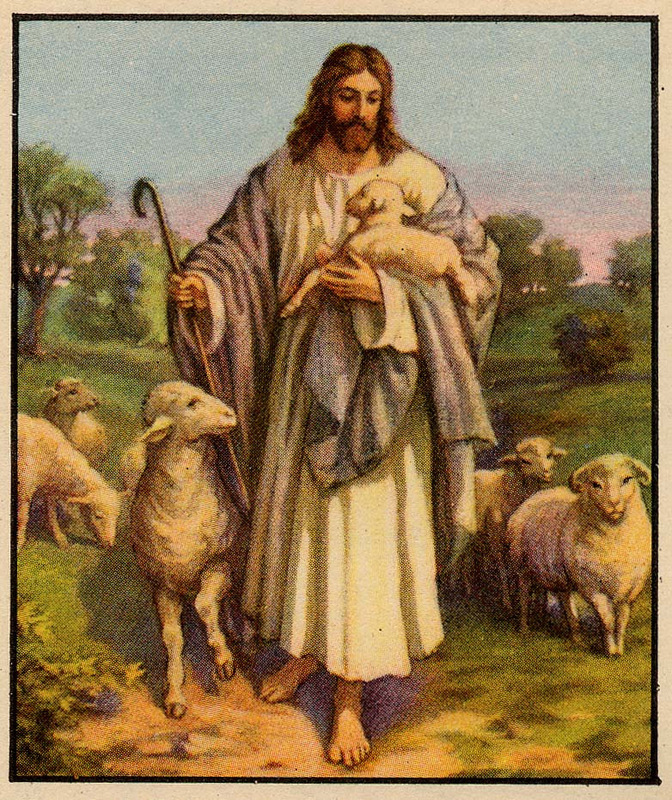 Our Gospel reading (John 10:27-30) is taken from Jesus' Good Shepherd Discourse. As part of this sermon, Jesus admonished the Jewish authorities, who "do not believe because you are not among my sheep". Jesus, as the Good Shepherd, knows his sheep and they know him. "Jesus said: 'My sheep hear my voice; I know them, and they follow me. I give them eternal life, and they shall never perish. No one can take them out of my hand. My Father, who has given them to me, is greater than all, and no one can take them out of the Father's hand. The Father and I are one.'" Our second reading from the Book of Revelation (7:9. 14-17) was intended to give comfort and reassurance to Christians enduring persecution. It used a highly symbolic code language understood by the Christians but not by their persecutors. It reassured them that their persecutors would not prevail and they would one day "stand before God's throne." "Then one of the elders said to me, 'These are the ones who have survived the time of great distress; they have washed their robes and made them white in the blood of the Lamb. 'For this reason they stand before God's throne and worship him day and night in his temple. The one who sits on the throne will shelter them. They will not hunger or thirst anymore, nor will the sun or any heat strike them. For the Lamb who is in the center of the throne will shepherd them and lead them to springs of life-giving water, and God will wipe away every tear from their eyes.'" Our readings today show us evidence that like the early Gentiles who rejoiced at hearing the word of the Lord - we who know the Shepherd and follow him, will one day be with him and the Father. No one can take us from him. No matter what the persecution, no matter what distress, we will one day "stand before God's throne. . . . and God will wipe away every tear"